In June, 31 C h r i s t i a n Youth In Action® (CYIA™) team members canvassed the city of Huron, South Dakota to share the Gospel with children and invite them to come to a CEF Party Club! There was rain the next morning. As soon as the bus pulled up the team’s prayers were answered and the rain stopped so the outdoor Party Club could happen! Four children were counseled as they made a profession of faith. In CYIA, young people are trained to effectively share the Gospel message with children through Bible lessons, songs, memory verses and more. 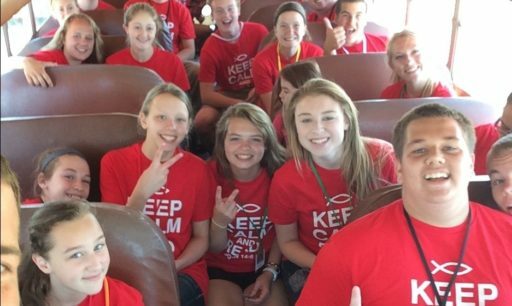 The young people then serve in various summer ministries, with 5-Day Club® as the main focus. Participants usually teach several clubs a week during the summer, reaching tens of thousands of children around the world.